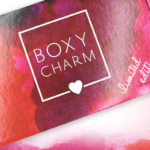 BoxyCharm July 2018 Spoilers #1 & #2! We have two spoilers for the July 2018 Boxycharm! What products would you love to see from Kat Von D? What products would you love to see from Hank & Henry Beauty? 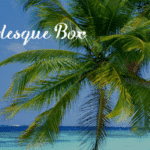 If you sign up now, the June box will be your first box – the waitlist is temporarily lifted! Check out the FULL spoilers here! 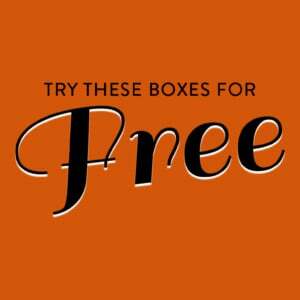 I´m very happy to receive skincare products but when I subsribed I thought it was makeup only box. I certainly am not complaining, I love a good mix of skin care and make up and these spoilers are very alluring to me. I really want the Tarte mist beacuse I´m crazy in love with mists but I would not mind that Crown palette either. Since these spoilers are out there before you even pay for the box then why complain?? In my country we dont have spoilers and we complain too;) But we rarely know what we are getting,it s an actual surprise box! I almost love the fact that there are variations so these spoilers kind of dont ruin the surprise element for me.Yeah well, but I really want Dr Brandt eye cream so yes, I will be bummed if I dont get it,so yeah,this box is really good value anyways. I 100% hear what you’re saying, but the value is only good if you can use the products. The usable value is what matters. If I could opt for both of the round 2 spoilers and neither of the round 1 spoilers I would be ok with this skin care heavy box, but that’s not how it works. I won’t use either the palette or the skin mist, but the farmacy and Dr Brandt would both address specific concerns that I have. It’s super frustrating for me and for many other ppl too. For 2 months in a row now Boxycharm has given almost the same exact products. If I don’t start seeing different products in Boxycharm I’m going to cancel. I wanted to start receiving one $21 box along with my $10 boxes and I chose Boxycharm because of the reviews but I’m Now wishing I would have chose Glossybox or lookfantastic box and I still might. Finally an eyeshadow palette that I can use!! But why do they give so many eyeshadows?? Is it because they are cheap?? The Tarte stuff isn’t a setting spray, just to let you know. Also, Boxycharm doesnt sound like the right sub for you imo. I don’t want ANY Kat Von D items. I subscribe to Allure Beauty Box, and have recieved three items from that brand in my June box. I just don’t like KVD, and want nothing to do with her brand. I subscribed to Boxycharm for makeup products NOT skin/hair products. 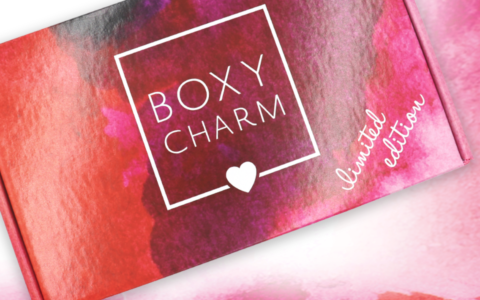 I am looking forward to the new expanded Boxycharm box coming in the Fall. I expect I will unsub from Allure and probably the regular Boxycharm & stick with the more expensive option. I sincerely hope Boxy begins using our personal profiles when selecting items for our boxes. I really, really, REALLY hate getting items I just cannot utilize. Ugh I hate when they do this variation crap with the main items. It is fine if you want to do an eyeliner variation or a liquid lipstick, but having the variation be between an eyeshadow palette or a setting spray is just odd. They aren’t equivalent to each other and people are going to be upset when they end up with one over the other. I personally am really hoping I get the tarte setting spray. I really want to try it. The palette looks like several I already have. If I don’t end up getting the setting spray and someone else does that doesn’t want it, I will definitely be willing to trade. Allure put me on Kat Von D overload as I’m getting both variations so, that’s not a spoiler I’m looking forward to. I’ll hold out for one more spoiler, but I’m leaning toward taking a Boxy break. June was my least favorite month and I’m realizing that no matter how good a value it is (because it really is, there’s just no denying that), it’s not valuable to me if I don’t love and use the products. Exactly! Even if the products have a retail value of $200 it’s not worth jack if none of them are usable. For June I personally liked the palette, brushes and lashes which made it a good box for me, but July isn’t looking like it’s going to be great. It reminds me of the galaxy box. Full of nice things but almost all things I couldn’t use myself.